Zimbabwe Congress of Trade Unions secretary general Japhet Moyo has said the problem the nation is facing is not about the bond note but it is about the fiscal deficit which has affected every sector economical. "The problem we are facing is not about the bond note but it is about the fiscal deficit, how the government is using its money and the fact that we are not generating any currency"....this is a quote from business. We should be generating foreign currency through exports and the bond notes are those who bring in foreign currency through exports...business say that is not the case. 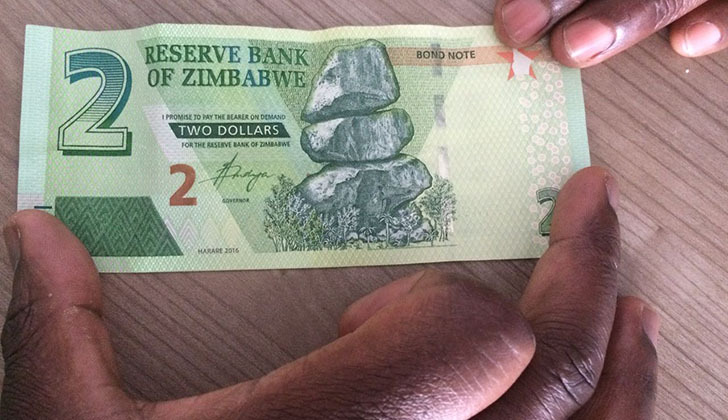 If we are not generating any currency but we are told that the bond notes are meant to incentivize those exporting, where is the crisp new bond notes coming from?," he said. "One likelihood is that the bond notes are no longer for incentivising exporters but are meant to mop the US in the streets. To take away the focus of the population from how the 'dream cabinet" is going to tackle this problem, we work up to the news that cholera and typhoid is being spread by second hand clothes traders (mabhero). Instead of tackling the overcrowding in the high density suburbs or provide clean water, collect garbage etc, informal traders irking a leaving through vending becomes to focus."